Spring is nearly upon us. The flowers are blooming, the sun is finally starting to shine and the beauty of nature is flourishing. Amongst all of this excitement we mustn’t forget that one of the most important days of the year is nearly upon us – Mother’s Day. Our mums cared for us for many years and without their love and affection we wouldn’t be the people that we are today. With so much to thank them for, it only seems appropriate that we shower them with the wonderful gifts that they truly deserve this Mothering Sunday. While luxury bubble baths and spa weekends are a lovely token, you might be considering choosing something even more special to show your mother just how much she means to you. At Hancocks, we know how much a beautiful piece of jewellery can mean to someone. 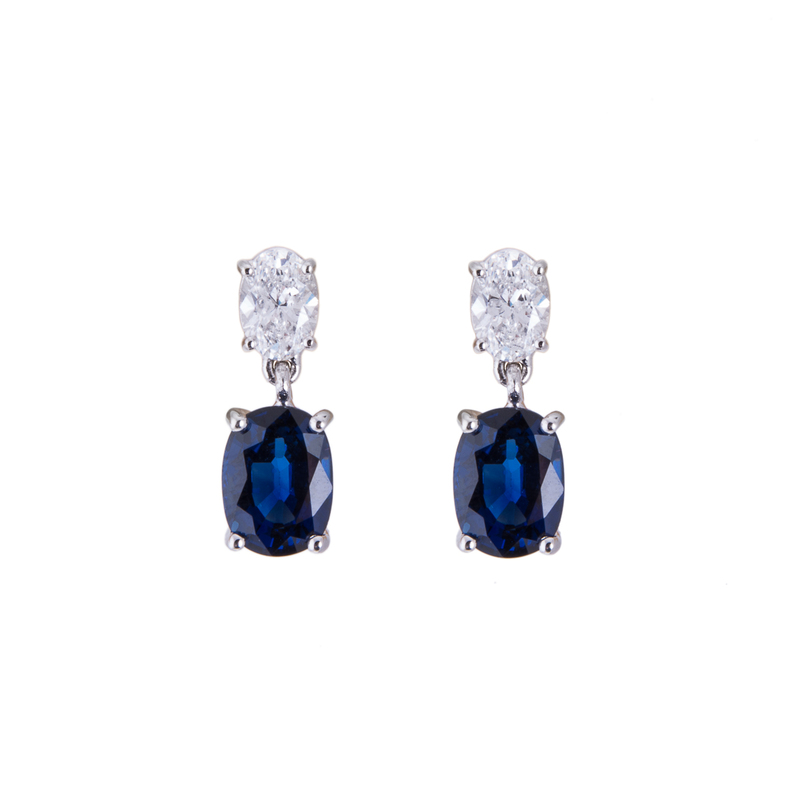 A stunning item of fine jewellery is always a fantastic gift, but it is even more touching when you know it has been carefully chosen just for you by your children. It transforms into a symbol of your eternal bond, something which a bouquet of flowers could simply never achieve. We hope that every mother receives a gift that they will cherish this year. That’s why we have put together five gorgeous pieces of jewellery that would make perfect gifts to give your mum, giving you plenty of time to prepare for March 15th. 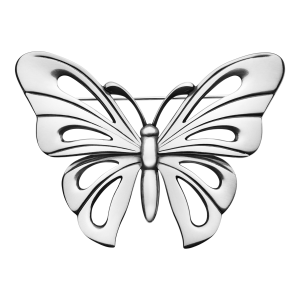 Celebrate spring and invite the vibrant beauty of the natural world into your mother’s life with this delicate silver butterfly brooch from the Georg Jensen collection. 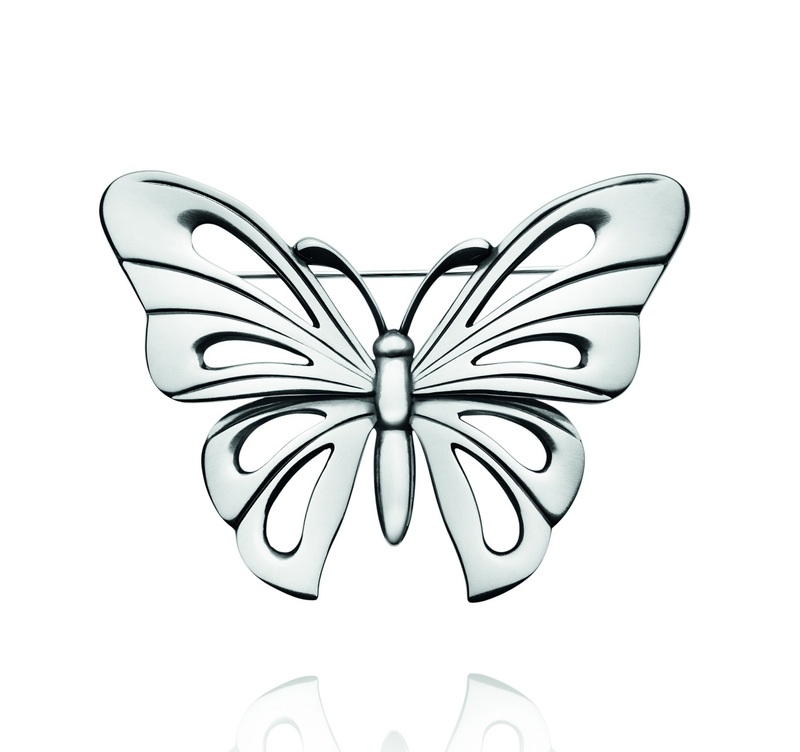 The contemporary butterfly design is reminiscent of the art nouveau era, renowned for contemporary chic design. 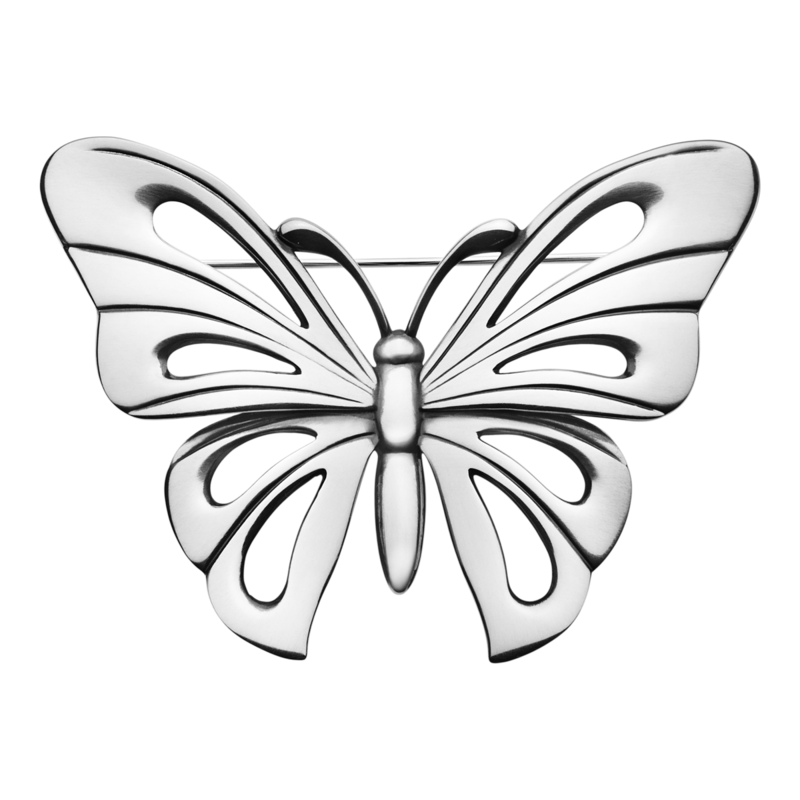 Such a classic and simple piece of silver jewellery can be worn with any outfit, so your mother will be reminded of your devotion for her every time she wears her brooch. There’s no doubt that your mother is a unique lady, with a rich and colourful story aside from being your mum. Present her with a necklace that represents the two sides of her life, with this stunning Pave diamond ball necklace. The 18ct white gold chain is accompanied by polished spheres of white gold and some spectacular diamonds. Perhaps your mother’s life was like the polished spheres prior to your existence, but then an extra bit of sparkle entered her life when you and your siblings were born. We all know how modest some mothers can be. While they may tell you that they do not want a gift, they could just be trying to be polite. A wonderful gift doesn’t have to mean spoiling your mum rotten. 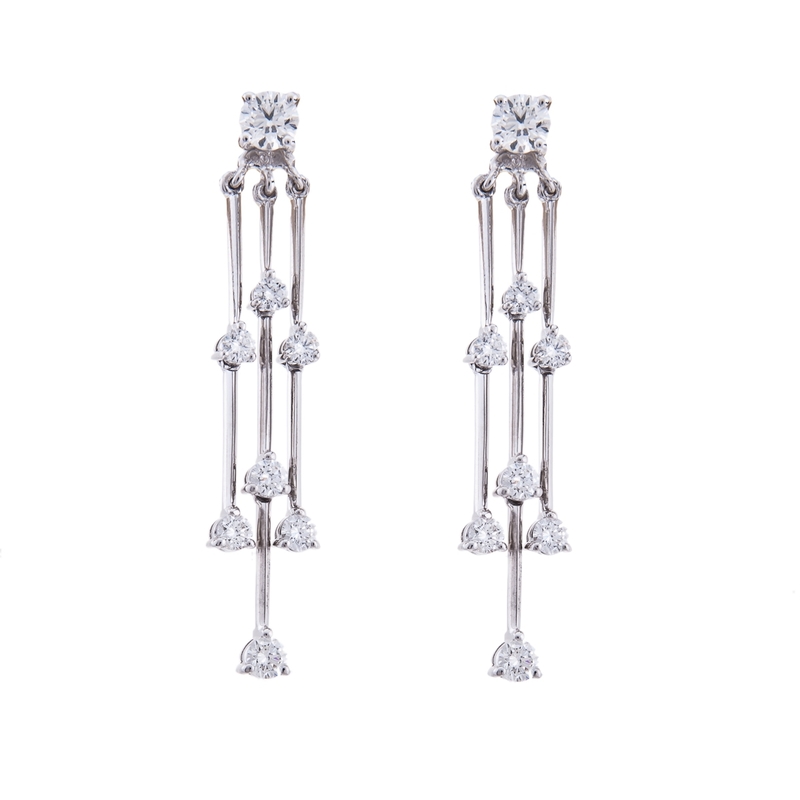 This simple pair of Georg Jensen earrings would make the perfect present for a modest lady. 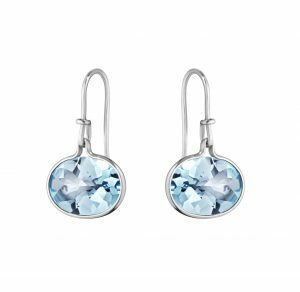 The silver earrings come in three colours, you can choose between the gorgeous Savannah rock crystal and silver drop earrings, which would complement most complexions, or the Blue topaz Savannah Set, a perfect accompaniment to blue or green eyes. 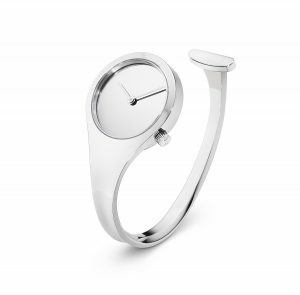 The bond you both share transcends the test of time, so bestow your mum with a timepiece that she will truly adore. This modern Vivianna open bangle watch exudes sophistication and class and the simple silver bracelet is complemented by a unique mother of pearl dial with classic silver hands. A truly special gift for an extra special woman. 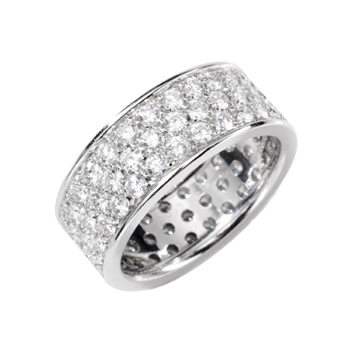 Sometimes mothers just deserve to be spoiled, and if you want to make a real statement this Mothering Sunday then bestow her with beautiful diamonds and pearls. This gorgeous diamond and pearl pendant features a shining silver grey Tahitian pearl, held by a curl of brilliant cut diamonds mounted on a white gold chain. Wearing this necklace is guaranteed to light up anyone’s day.